"Break Every Rule" is a single from Tina Turner's album "Break Every Rule". This song was written by Rupert Hine and Jeanette Obstoj, and produced by Rupert Hine. 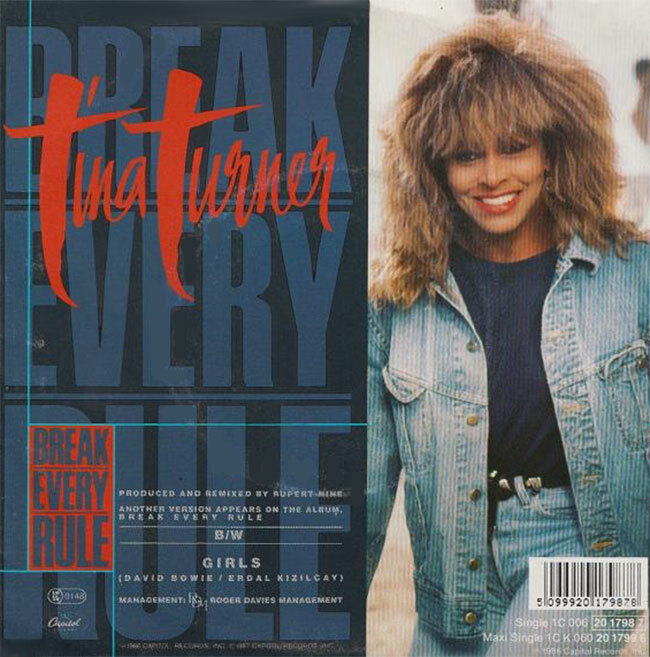 "Break Every Rule" is a pop rock song with a country flavour about a person who’s completely obsessed by another person. He or she wants to break all rules because she’s madly in love with him or her. In the last segment of the song Tina & Rupert sing the backing vocals as well. 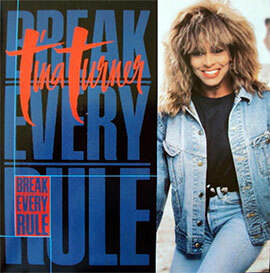 "Break Every Rule" was released in early 1987 to support the record and the world tour. Tina shot an official video for it. In the video we see some live footage and behind the tour footage. Tina performed the song at a tv show called Wogan in 1987. She also performed the song during the Break Every Rule World Tour 1987/1988. The song had limited success in the charts. "Break Every Rule" was also the album title and became a great follow up record after "Private Dancer". 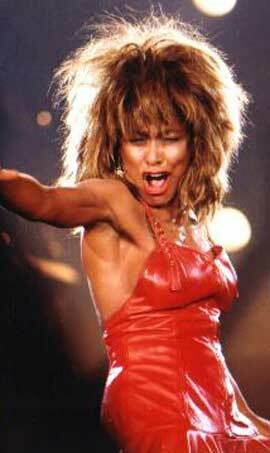 Despite that, Tina never did perform the song in any other tour. "Break Every Rule" was released as the 6th single and was released as 7" single and 12" single with remixes that are listed below. The B-Side was "Take Me To The River", a cover version from Al Green. The song has a religious background and is about losing material possessions and objects of value. The person is out of love and wants to go back to the basics, but is confused about whether if it’s good for him/her because it seems this person also never had a lot of other belongings. However the person wants to wash it all off in the river. Tina recorded the song in 1983 with Martyn Ware from the Heaven 17 group as a B.E.F. production. The song is never released on an album and still remains as a rare track. There is also a 7" with B-side "Girls". (UK, Germany) And a 7" with B-side "What You Get Is What You See (Europe). There are also some Remixes. 7" edit – 3.48 min. Album version – 4.02 min. Extended Dance Mix – 8.46 min. Extended Rock Mix – 7.02 min.